With Iceland’s spring upon us, it’s time to shake off the cold, dreary days of winter and head into the warm, sunny days of summer. 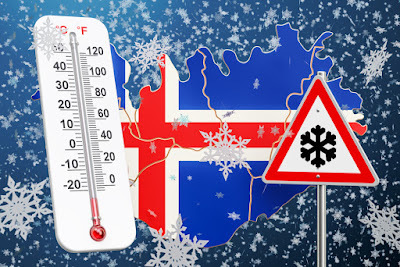 Iceland’s weather in April represents a turning point as temperatures slowly begin to rise from their freezing winter lows. 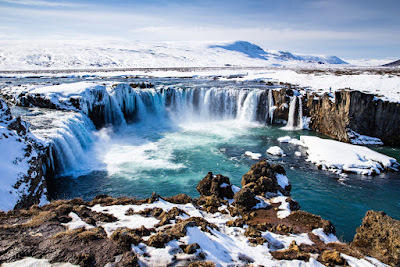 April is a great month to visit Iceland as we haven’t quite arrived at the tourist high season, so prices will still be relatively low and the places you go will not be as crowded. Unfortunately, you won’t be able to see the Northern Lights again until September. But that doesn’t mean that you can’t enjoy all of the other outdoor activities that the country has to offer. 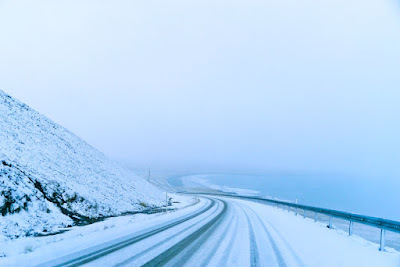 Let’s look at one of the most important factors affecting your April trip to Iceland: the weather. Please keep in mind that everything is relative. What we in Iceland might consider warm could be thought of as winter weather in a tropical destination like Belize or the Bahamas. It all depends on what you’re used to, right? So let’s get right to it. What are the average highs and lows in Iceland in April? Let’s start with the chilly lows. Near the beginning of the month, the average low in Reykjavik is around 30 ºF (-1.1 ºC). By the end of the month, the mercury reading on the thermometer rises to around 37 ºF (2.8 ºC). See? I told you not to bust out the tank tanks and flip flops just yet. Average highs in Reykjavik are slightly better. The month starts out on a pretty cold note with an average temperature of just 40 ºF (4.4 ºC). By the end of the month, the high hovers around 45º F (7 ºC). Still quite chilly, so you’ll have to bundle up. And if you’re lucky, there might be a few days with 50º (10 ºC) weather. Keep those fingers crossed! April sees a drop in precipitation from what the country experienced in March, one of the island's wettest months. You still have rain, sleet, snow, and some hail for about half of the month. Total precipitation in areas like Reykjavik average about 2.3 inches (5.8 cm). The South of Iceland is the wettest part of the country, so you’ll find more precipitation there than in the drier north. Iceland is pretty wet all year long, so make sure you pack the right clothes to face the wet and windy elements. Waterproof boots, impermeable rain jackets, and clothing that will keep you dry are indispensable for your trip to Iceland in April. As we all know, the only thing worse than being cold is being cold and wet, right? Does it Snow in Iceland in April? Unfortunately, I have to be the bearer of bad news. April is considered a transitional month as far as Icelandic weather is concerned. 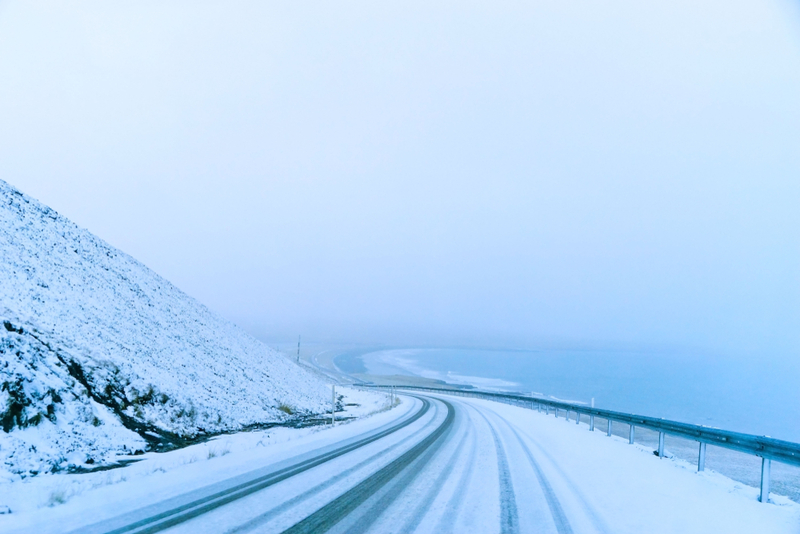 You haven’t quite escaped chilly snowfall as April is still a part of the snowy season in Iceland. Basically, this means that you could have a cold, sunny day that is suddenly transformed into a whiteout snowstorm. The best advice I can give for Iceland’s famously capricious weather is to always expect the unexpected. That way, you will never be surprised. Iceland's weather in April wouldn’t be complete without mention of the hours of daylight and sunshine that you are exposed to during this spring month. The island’s far northern latitude means that both winter and summer sunshine hours are going to be extreme. Thankfully, by April Iceland has returned to sunrise and sunset times that can be considered relatively normal. In fact, with almost 17 hours of daylight toward the end of the month, you’ll be having very long days filled with plenty of sunlight. You can definitely tell that we’re heading towards the summer equinox and the almost neverending Midnight Sun. While Iceland’s April weather is definitely warmer than February or March, you’ll still need to come prepared to face the elements. Be sure to pack thermal clothing in your suitcase so you’ll always have something warm to wear. Dress in layers that keep your skin warm and dry and keep out moisture and precipitation. April is a great month to visit Iceland, and the weather is conducive to you having a great time. Enjoy your holidays in Iceland in April!